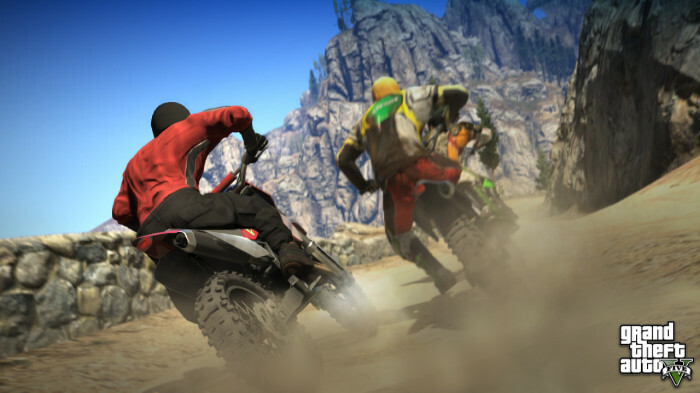 As promised on Monday, Rockstar has released even more screens for our enjoyment! This time we're getting a peek at some of the leisure activities we can expect to see. Dirt bike racing is back, and looks better then ever! Tennis anyone? The house looks nice too...maybe we own it? BASE Jumping is always fun, and the countryside looks very expansive! 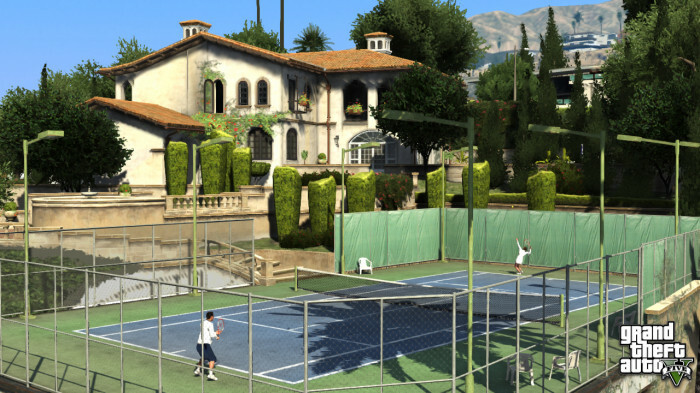 Also of note is that on the Official GTA V site there are still three blank spaces in the screens section. Could there be three more screens waiting for us come Friday? Guess we'll just have to wait and see! 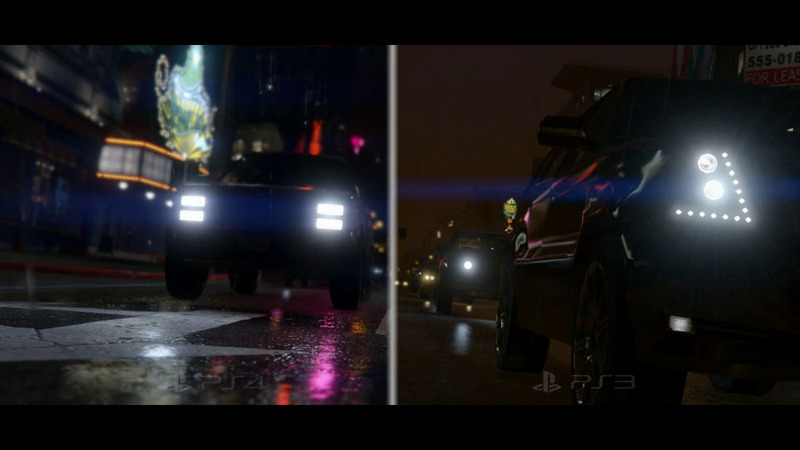 Discuss all this, and other GTA V information, on our forums! I hope they add Basketball into this game. 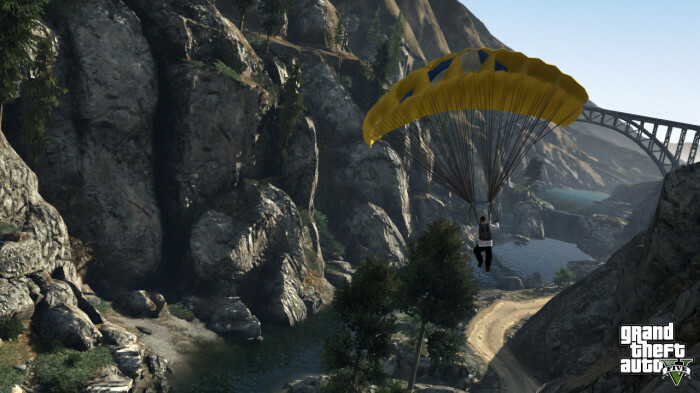 Wounder if we will be able to swim in GTA V? I have just noticed that there using the same parashute disighn as in Gta 4 ballad of gay tony apart from a few tweaks. Man, I'm going to have to explore everything before I even start a mission! Probably a waterfall. And yes it could be a small dam or spillway off of a reservoir too. Hello everyone ! I had one question about the screenshot of the guy with parachute. If you look along the river (the part under the bridge); is there a waterfall, or what is it, because sometimes it doesn't look like waterfall (small one) but also looks like it is made out of concrete. Thanks in advance, and all best to all you gta fans ! They never actually said that but the point with the bridges remains. Leisure Activities in Los Santos - More official screens from Rockstar, this time showing off some leisure activities.